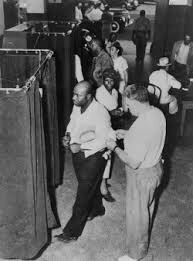 1.What gave African Americans the right to vote? 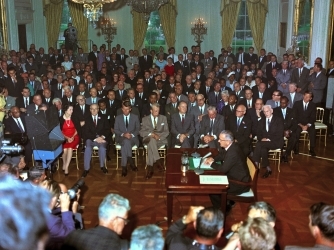 The 15th amendment prohibits states from denying citizens the right to vote. The basis of race, color, or previous condition of servitude, but it does not bar states from denying the rights to vote on other grounds. 2. What laws were passed to take these rights away? A fiery young African-American woman from Tennessee, launched a fearless crusade against lynching. He wants a slow learning with hands to prove "mines better than yours". He wants fast learning and have all the African-Americans to go to college an get a degree for a better job and future.